Sunêlia Confort; 4/6 pers. 2 bdrms. 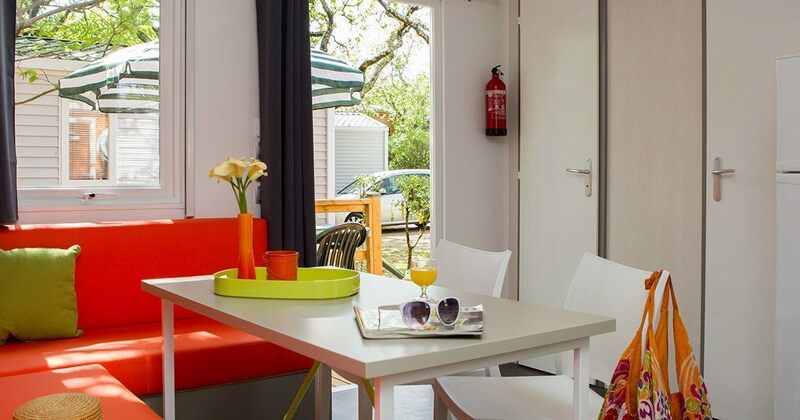 In the face of the demands of holidaymakers, more and more to look for modern and comfortable accommodations for the holidays, our campsite in Ardèche also offers a range of recent Mobil-homes including the Sunêlia Confort 4/6 places. 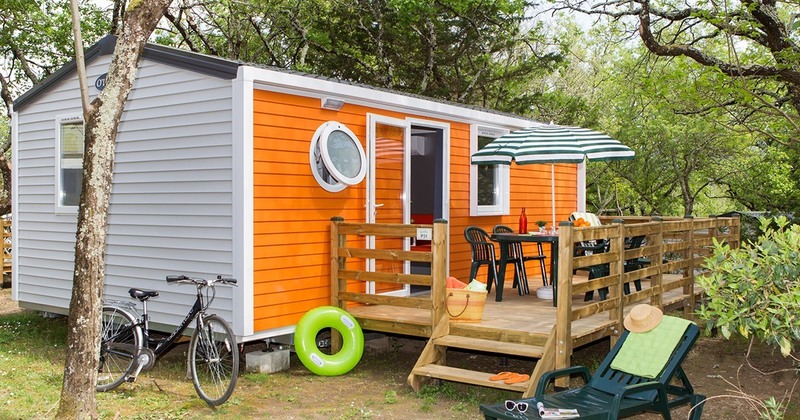 2 bedrooms extended on a total area of 29 m2 and set in the middle of nature, it guarantees a real displacement and a stay where you will not miss anything. 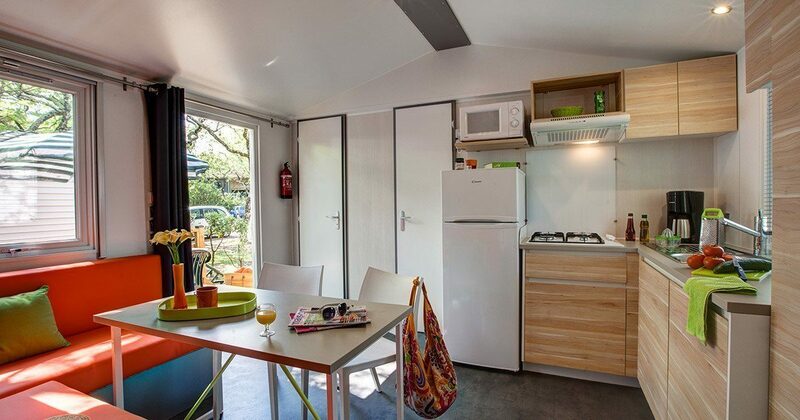 The Mobil-Home is composed of 2 bedrooms, a living room serving also as a dining area, a fully equipped kitchenette, a bathroom and a separate WC. 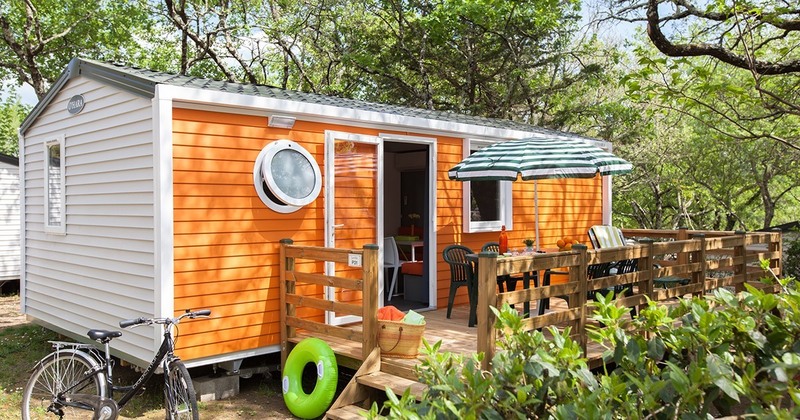 It can accommodate 4 to 6 people and thus is ideal for families or groups of friends. 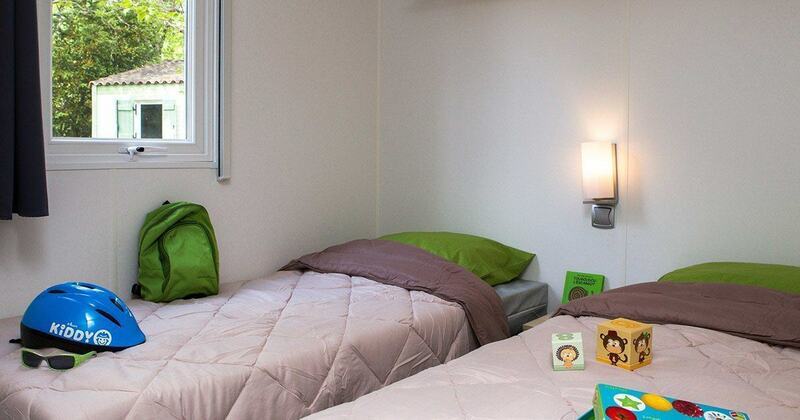 The sleeps of the Sunêlia Confort 4/6 pers are divided as follows: a double bed in the master or parental room, 2 single beds in the second bedroom, 2 other possible sleeps in the living room thanks to the convertible seat. The living area has been arranged in such a way as to offer space and comfort to the occupants. 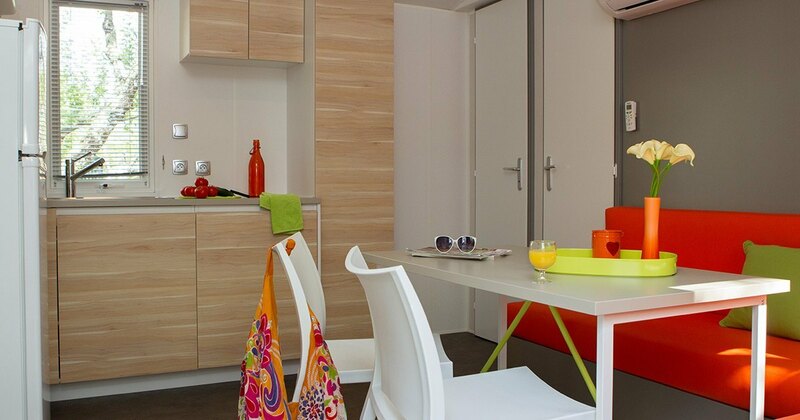 The integrated kitchenette benefits from all utensils, cutlery suitable for the number of tenants and other practical equipment. Even on holiday, you can prepare to eat your little clan. Our grocery store with breads and pastries and our restaurant, however, simplify your daily life when you are too lazy to put yourself in the kitchen. 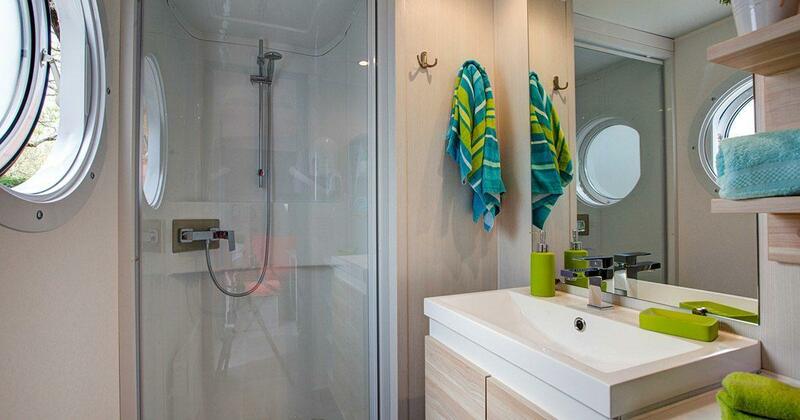 This modern Mobil-home has a bathroom with shower and washbasin as well as an independent WC. In order to offer you even more comfort, this rental accommodation benefits from other facilities including a heating and a safe. This is in addition to an air-conditioned rental. 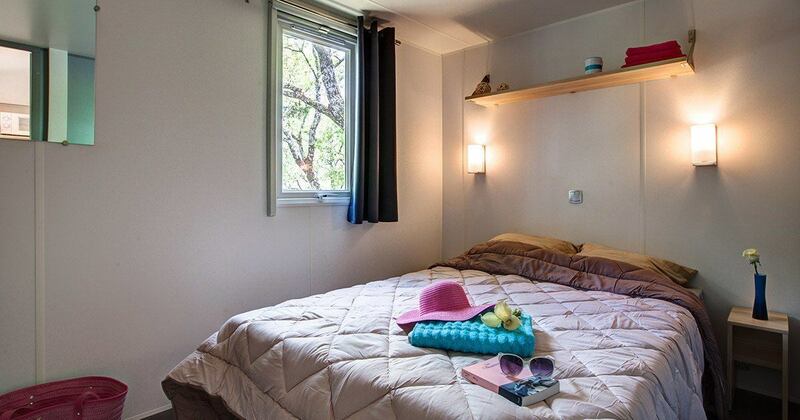 Whether you come out or in high season, you will always enjoy a pleasant holiday rental to live. 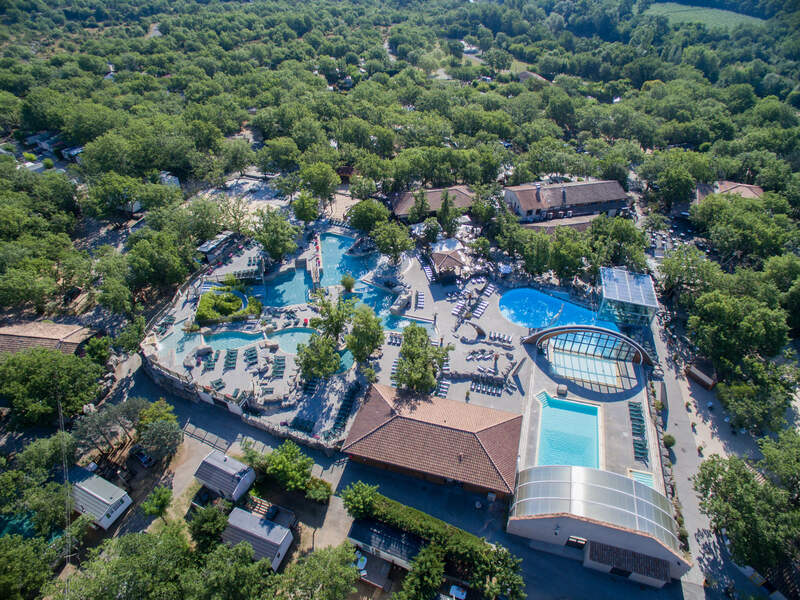 Our 5 star services are also there to make you live a high-end holiday in Ardèche.